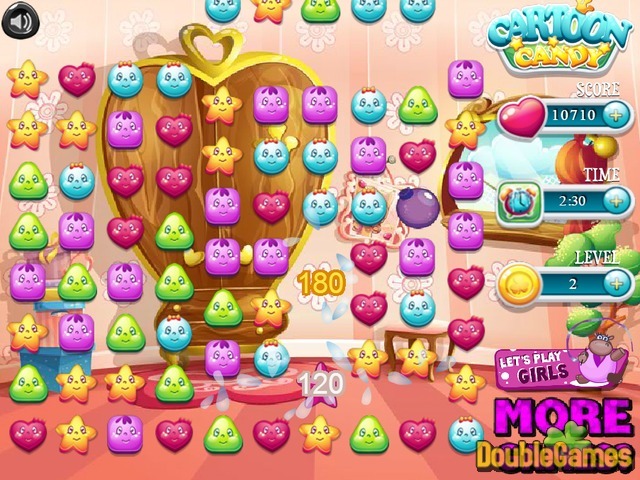 Here comes another cute and entertaining free online Match-3 game Cartoon Candy! 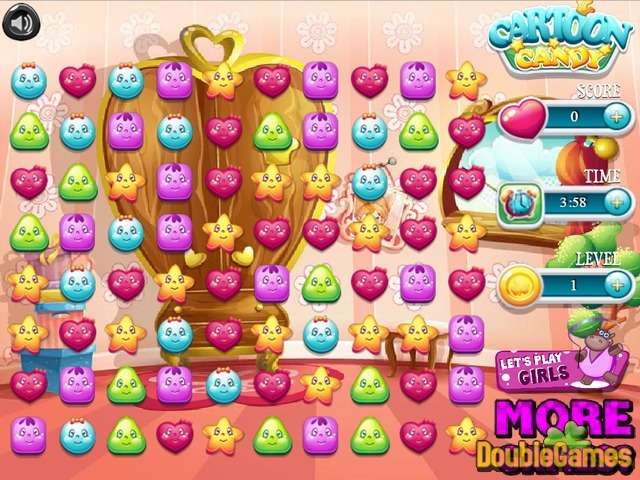 There are different heart-shaped, star-shaped and rounded symbols that are placed on the play-board in a very colorful setting. You have to reveal their mystery of different possible matches so hurry up and play. Make sure you watch your time because every minute is priceless. Improve your match-3 skills and have fun playing free game Cartoon Candy. 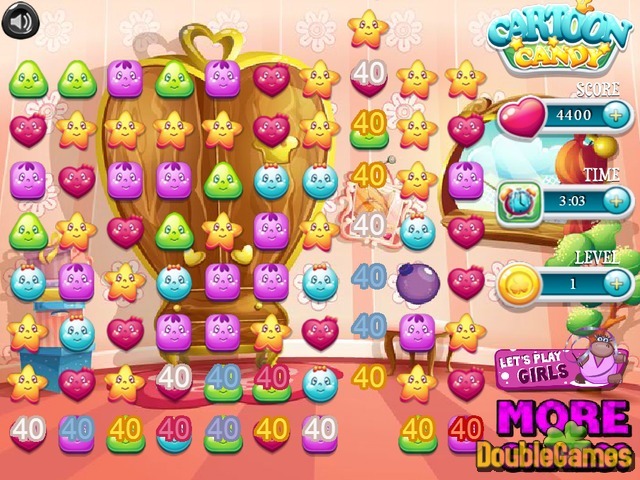 Title - Cartoon Candy Online Game Description - Have a rest with Cartoon Candy, a Puzzle game devised by Let's Play Girls. Welcome to the new colorful and funny Match-3 online game that will totally make your day.